According to American Chemical Society, drinking Wine might be helpful to Oral health and this might just give you a good reason to drink Wine. It was earlier suggested that drinking Wine has been found to be helpful to your Heart and Colon due to the presence of polyphenols in Wine which are said to be helpful. The same polyphenols are said to be good for Oral health by preventing formation of cavities and gum problems. Polyphenols are Antioxidants which protect the body from free radicals (which are harmful). These Antioxidants help in controlling the bacteria from the gut by interacting with them. Presence of Antioxidants is seen in plants and Fruits to protect infection by bacteria and other pathogens. M. Victoria Morenoarribas and colleagues checked whether at the molecular level polyphenols in grapes would protect teeth and gums at the molecular level. 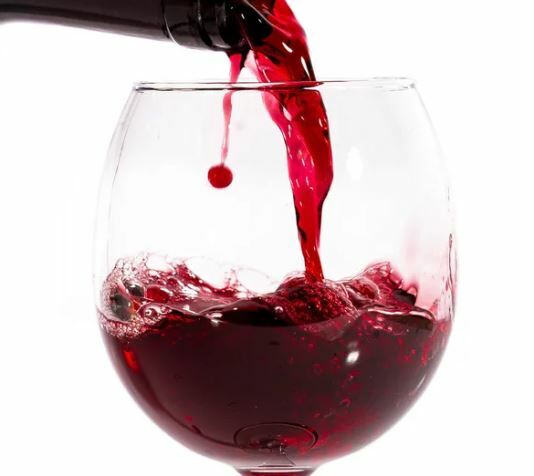 To test whether polyphenols protect gums and teeth from cavities, two red wine polyphenols were tested along with grape seed and red wine extracts on bacteria from gums and teeth in dental plaque, to see their effect on their growth. In the polyphenols seen in wine, two wine polyphenols in particular – caffeic and p-coumaric acids are the ones which are seen to prevent the bacteria to stick to the cells on gums and teeth. When caffeic and p-coumaric acids the two helpful polyphenols are combined along with Streptococcus dentisani (used as oral probiotic), they were more beneficial in preventing pathogenic bacteria from sticking to the cell walls. The effect of polyphenols is seen in oral cavity because the digestion of polyphenols begins in the oral cavity. So in a sense drinking Wine is not just good for your gut and heart but also good for your oral cavity – gums and teeth in preventing gum disease and dental caries.